Contents: Video (2 DVDs) and text shipped to you. online multiple-choice test. Contents: Video (2 DVDs), text and workbook with multiple-choice test shipped to you. Already own the Orthopedic Assessment DVDs or Massage and Manual Therapy for Orthopedic Conditions text? Call us at 1-800-364-5722, 9am to 5pm, to discuss your enrollment options. Learn classic assessment techniques for the neck, shoulder, elbow, ankle, knee, hip, spine and more. This course introduces massage techniques for orthopedic conditions, promoting the alignment of soft tissue relating to pain and dysfunction. For clinical massage therapy, the course text contains brief descriptions of rationale behind orthopedic massage, mechanisms of injury to and repair of soft tissue, and anatomy of each body area. impingement tests for the rotator cuff. You'll learn specific orthopedic conditions of the human body and discover how various massage therapy techniques can help ease pain and dysfunction of soft tissue. Specific pathologies regarding mobility, posture, injuries and diseases are included as examples of what can be addressed by massage therapists and which conditions are seen as contraindications. Several methods which help to promote proper alignment of soft tissue including wave mobilization, muscle energy technique and joint mobilization are defined, explained and demonstrated in the course materials. The Orthopedic Assessment program will walk you through a logical progression of testing that will reveal the underlying pathology with crystal clarity. The techniques and assessment provided in this program are meant to be practiced by licensed healthcare practitioners. Check your local laws to find out if performing these tests is within your scope of practice. This was a great course. Lots of good muscle review. Plus great assessments for additional adjunct work in the massage field. 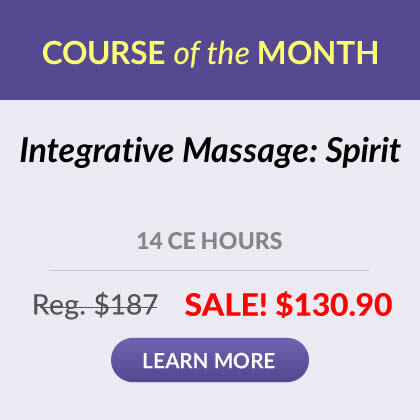 This course will help me to take my massages to a new level. This course is very in depth. The manual/book along with the DVD's were very helpful in completing the course. I would recommend this course for the more advanced graduate. I would not recommend this course for the graduate looking to just fulfill CEUs. I thoroughly enjoyed this course! Excellent! Thank you for giving me more tools to help others! Amazing course! The book and instructional DVD were very easy to follow. I now can target and help clients on a whole new level!! This is an awesome course!!! Great course, exceeded my expectations!! Thank you for all of your hard work. Great course and book. I learned a lot of valuable information. Great way to earn credits at home! thanks a bunch:). The book is an excellent source of invaluable information. The DVD's are as well but every time I sat down to watch I would fall asleep. I think it was because of the background music and the white background setting behind Dr. Edmundson and his demo person. It was just too hypnotic. Different music with maybe a quiet library or classroom setting would help.... At least that is what I thought would hold my attention better. Other wise it was a fantastic course! I found it challenging and very Fascinating! With lots of practice this course will help take my work tonew levels. I appreciated having the DVD's to this course. I suggest otheres taking this course to have taken or have a strong background and understanding of anatomy, physiology, basic biomechanics, and have a background in structural bodywork. This course will take that practitioner to the next level and sharpen his/her skills quicker. In conclusion, having a strong foundation and experience in orthopedic massage prior to this course anchored and added to my work. I have already and will continue to use Thomas Hendrickson book as a strong resrouce. If you love anatomy, be ready for this one. 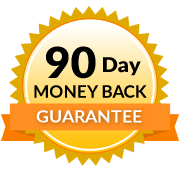 It will bring out the best in you, and the overall treatment plan for your clients. Loved it!! I cant wait to take more courses! Massage is about circulation. Retaining a good understanding of lymphatics will help you to create a better awareness to yourself and client while giving massage. The LDM course and materials are excellent. I was able to apply the knowlege immediately on myself with immediate results as I am in a post operative stage. This was the most informative and well laid out material I have study in a long time. I will continue to refer to the information I have learned from this course. Took longer than expected. Lot of theory. Great course! A good refresher for anyone needing to brush up! My expectation for an online course were fairly low. This class WAY exceeded those expectations! Really enjoyed taking this course, you essentially get 2 courses in one. You can really go and study all the MET and STM protocols in the manual and add it to your therapy sessions, they are very precise in the writing of every step on how to perform these modalities. The DVD's are full of info and great assessment approach, although the background to them was pure white and it gets to your eyes and gave me a headache after the first DVD and i had to take a break. The videos are course material were very informative and relevant, but I found the test questions significantly less relative to my initial take away information. Although I learned lots of other this in school I would have liked to see more questions focused on how the assessments could alter or enhance our treatment plans. Overall I found this course a great refresher and the actual course material relating MET and soft tissue techniques to various areas and conditions extremely helpful. The textbook by Hendrickson will be a great reference tool in my practice. The videos (2) with Alan Edmundson, PT, were well done and instructive. His experience gives insight into different conditions and how to access them. The graphic illustrations are well integrated with his instruction and demonstration. I would like to see more videos from him in addressing specific injuries and conditions like rotator cuff injuries, hip and knee replacements, and geriatric falls. Highly recommended course, especially if you are willing to follow the video demos with a willing client on a massage table. Explain the foundations and theories of musculoskeletal function, dysfunction and therapeutic goals of various modalities used in orthopedic massage. Describe the composition of muscle tissue and explain the theory of soft tissue alignment. Define the three modalities as presented in the text: wave mobilization, muscle energy technique (MET) and joint mobilization. Recognize and define the composition and function of the four primary types of body tissue with a focus on connective tissue. Describe the mechanics of soft-tissue injury including inflammation and the pain cycle within the human body. Recognize the various steps used in assessing a client, including taking SOAP notes with special regard to patterns of soft tissue pathologies, joint dysfunction, injury and degeneration. Demonstrate proper body mechanics and an understanding of specific modalities and techniques used in orthopedic massage. Define therapeutic guidelines and contraindications for soft-tissue dysfunction and injury. Identify the various anatomical structures and explain the physiology of the lumbosacral region of the human spine. Assess and recognize dysfunction and injury of the lower back. Identify appropriate massage techniques, stretches and exercises used to address lower back pain. Identify the various anatomical structures and explain the physiology of the thoracic region of the human spine. Assess and recognize dysfunction and injury of the lumbar region of the back. Identify appropriate massage techniques, stretches and exercises used to address mid to lower back pain. Identify the various anatomical structures and explain the physiology of the cervical region of the spine. Identify the main differences of the cervical vertebrae as compared to the lumbar and thoracic vertebrae. Assess and recognize dysfunction and injury of the cervical region of the back and neck. Identify appropriate massage techniques, stretches and exercises used to address neck and upper back pain. Identify the anatomy and physiology of the shoulder complex in the human body. Assess and recognize dysfunction and injury of the shoulder region. Identify appropriate massage techniques, stretches and exercises used to address shoulder dysfunction and pain. Identify the anatomy and physiology of the elbow, forearm, wrist and hand in the human body. Assess and recognize dysfunction and injury of the elbow, forearm, wrist and hand. Identify appropriate massage techniques, stretches and exercises used to address the dysfunction and pain of the elbow, forearm, wrist and hand. Identify the anatomy and physiology of the hip joint and surrounding area in the human body. Assess and recognize dysfunction and injury of the hip region. Identify appropriate massage techniques, stretches and exercises used to address hip dysfunction and pain. Identify the anatomy and physiology of the knee in the human body, as well as how it interacts with upper and lower leg structures. Assess and recognize dysfunction and injury of the knee region. Identify appropriate massage techniques, stretches and exercises used to address knee dysfunction and pain. Identify the anatomy and physiology of the leg, ankle and foot in the human body. Assess and recognize dysfunction and injury of the leg, ankle and foot regions. Identify appropriate massage techniques, stretches and exercises used to address leg, ankle and foot dysfunction and pain.